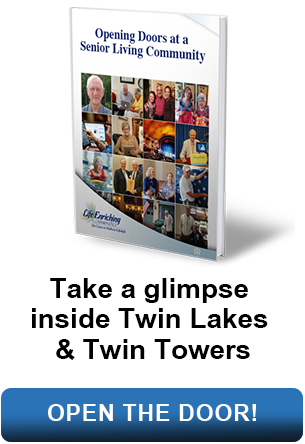 Life Enriching Communities, home of Twin Towers and Twin Lakes. An award-winning community located in historic College Hill. Enjoy a vibrant lifestyle full of new opportunities and favorite pastimes. Embrace the exceptional in every day. A beautiful community nestled in the heart of Montgomery. A beautiful backdrop for a more secure future. Surround yourself with interesting people and friendly neighbors. and our innovative new Confident Living program to help you remain in your home as you age – and all they have to offer. We think you’ll agree that they are truly exceptional. "Residents and Associates are very close and care about each other, we think of ourselves as a big family."